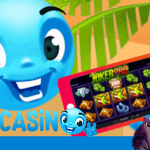 It is from today that another exciting NetEnt video slot is available at all NetEnt Casinos. The Hotline™ video slot is the first slot game enriched with the unique multi-level bonus bet feature, making sure there’s constant action on the reels. 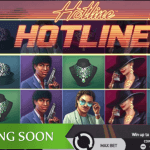 Meanwhile, you’ll be taken back to the 80’s with Hotline™ being a Miami Vice-themed slot game. 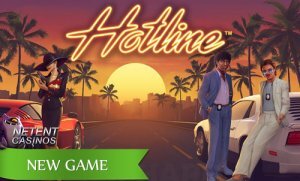 NetEnt wouldn’t mention it anywhere since the Hotline™ video slot isn’t a branded slot game, but it’s not hard to guess that this new NetEnt slot’s inspiration source is the popular 80’s series Miami Vice. If no branded slot game, NetEnt isn’t allowed to use any original characters or soundtracks, but the I must say that the talented team of developers did a great job anyway. And no, you’re not going to find James “Sonny” Crockett and Ricardo “Rico” Tubbs on the reels in the Hotline™ video slot, but their substitutes come pretty close. And if no original Miami Vice sounds can be used, you simply create one yourself. And if I must say, NetEnt did a great job there adding one of the best soundtracks NetEnt has ever produced. I think a very large group of players, even if they didn’t grow up in the 80’s, will enjoy the new Hotline™ video slot with its two undercover detectives chasing crooks driving through the mean streets of Miami. Thanks to all of these aspects, NetEnt did manage to create the familiar Miami Vice atmosphere. 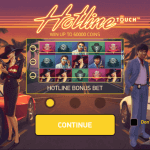 A great theme doesn’t do the job, but of course, NetEnt perfectly combined the retro theme with modern slot features introducing the new and innovative Hotline™ feature. 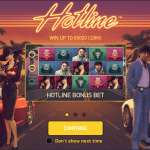 “The innovative Hotline Bonus Bet feature has the ability to give players extra options, which also has some cool new mechanics to make it standout from other slot games. 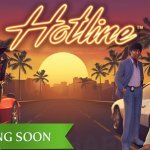 With this game we wanted to provide operators with the ultimate player entertainment by bringing the popular 80’s retro look and feel to our players and I believe we’ve achieved that with the creation of Hotline™ and its great soundtrack,” said Henrik Fagerlund, Chief Product Officer of NetEnt. 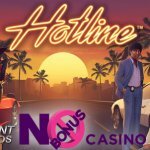 It’s the Hotline™ Bonus Bet that makes the new NetEnt slot an action-packed game. How much action there will be, that’s totally up to you being in charge of the number of hotlines. It involves a pretty simple concept as all three rows can be turned into hotlines. You as a player can choose a row, two rows or all three rows. This row, or these rows, will become Hotlines. The reason why I can highly recommend you to activate all three rows is because Wilds landing on these hotlines will expand to cover the entire reel. The more rows, the more Expanding Wilds can appear which will stick for at least one Re-spin and the bigger the chance of a big win. You’ll be able to change the number of hotlines at any time during the game, but one row will always be a hotline. In return for a higher bet, you can activate either two or three hotlines with all three hotlines for the best chances of covering all reels with Wilds. As soon as a Wild appears on one of the hotlines, it will expand over the entire reel. Right away, a Re-spin will be activated. If another Wild appears on a hotline, this Wild will again expand and another Re-Spin will be activated. This process will continue until no new Wilds appears. During Free Spins, activated when at least three Scatters appear on the reels, the expanded Wilds stick for the entire Free Spins feature. Besides the innovative Hotline™ slot feature, you’ll be able to enjoy two different Wild features as well. They are part of the Hotline™ feature, though. The same goes for Re-Spins which makes the Free Spins feature the only feature that’s not related to the Bonus Bet feature. All together, they form a great mix of features making the Hotline™ video slot one to go for when visiting a NetEnt Casino.